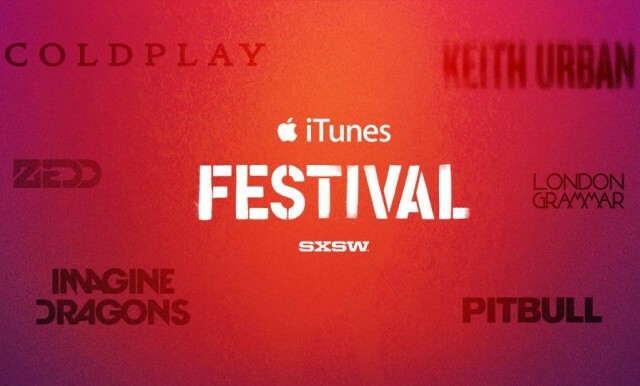 Although the iTunes Festival has been a great success in the UK for years, it’s only at this year’s SXSW festival that it’s finally come to the States, with Apple arranging for artists such as Coldplay, Imagine Dragons, and Kendrick Lamar to perform free for five nights in Austin, Texas. What was the hold up? According to Apple’s Eddy Cue, they just weren’t sure they could reproduce the positive vibe anywhere else. But it looks like they’ve succeeded. Having been to iTunes Festival U.K., I know exactly what Cue is talking about — the buzz and electricity surrounding an iTunes Festival is incredible. I experienced that same intensity at this event, which was timed to coincide with Austin’s big South by Southwest (SXSW) festival, an annual film, music and interactive technology jamboree that’s nearly outgrown the city. If you want to drop by the iTunes Festival, it closes on Saturday night, and of course, you can watch the iTunes Festival live on your iPhone, iPad or Apple TV.